Though I gave it high praise at the time, Big Money was ultimately a forgettable album by House of Lords and was a step down from Cartesian Dreams. Luckily, that’s not the case with Precious Metal. I’m not sure what happened but songwriting is inspired. From the cover art to the title of the album itself, I think the band is back on track and more in line with their catalog than Big Money was. With tracks like “Battle”, “Swimmin’ with the Sharks” and “Permission to Die”, James Christian has delivered one of the heaviest albums House of Lords albums yet. The keyboards have taken a backseat all throughout this album and I’m completely okay with that. While House of Lords is one of the few melodic rock bands to use keyboards and not actually sound wimpy this is a good hard rock sound, though temporary, I’m sure. As with every House of Lords album, the production is fantastic as is Christian’s voice. He’s easily one of my favorite rock vocalists of all-time. And the hooks and melody are still here. It took me a few times to get into Big Money, but with Precious Metal I was instantly pulled in to songs like “Battle”, “Epic”, “Enemy Mine” (which is the most “modern” sounding track on the album… like something My Darkest Days would do) and “Precious Metal”. My favorite tracks are the aforementioned “Permission to Die” and the excellent power ballad “Precious Metal”. I also enjoy the lyrics on both of these songs. 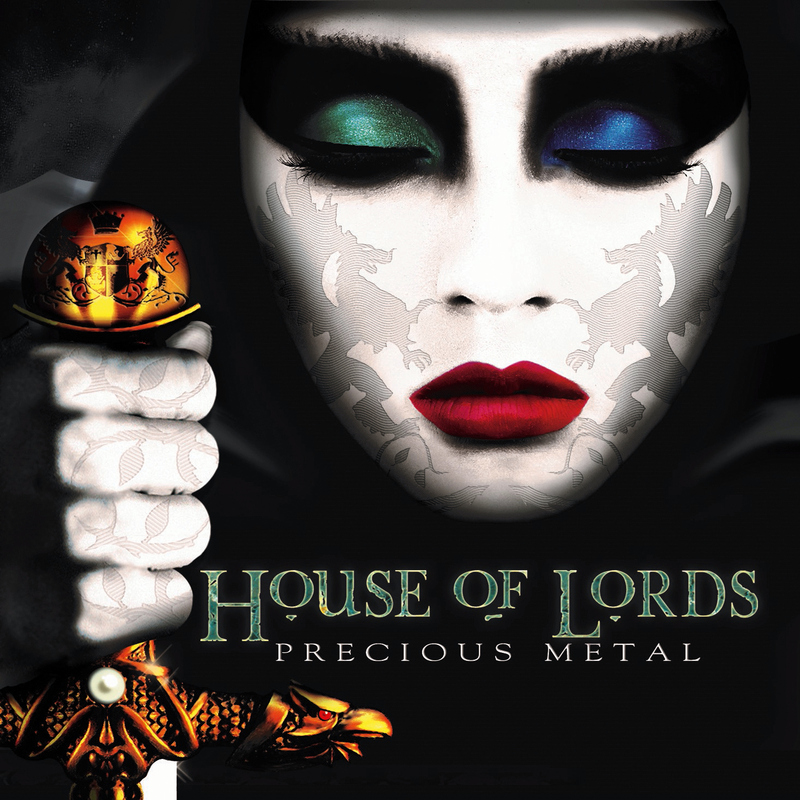 Precious Metal finds the band not relying on keyboards as much but it’s still undoubtedly a House of Lords album that I think any fan will enjoy. 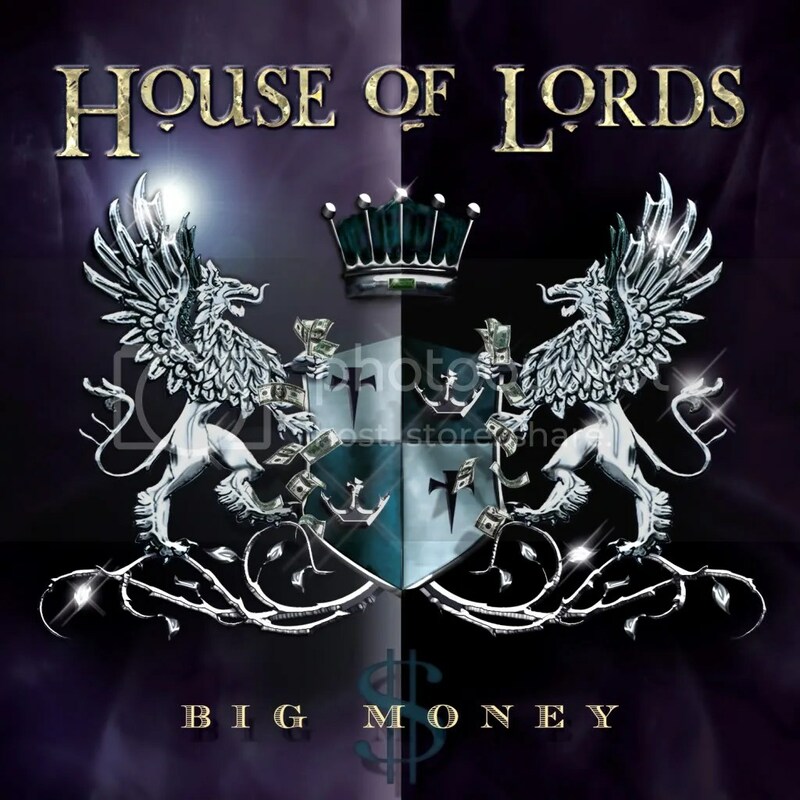 Despite having some excellent songs, I’ve always been a casual fan of House of Lords. It wasn’t until Cartesian Dreams that I became a bigger fan and was finally convinced to go back and acquire the rest of their catalog. It’s a fantastic body of work and Cartesian Dreams is probably my favorite Lords album so I was pretty excited when Big Money was announced. On Big Money the band continues to blend AOR with hard rock (that darn near borders on metal sometimes) in a spectacular fashion. This is a utopia where the guitars are beefy, the drums are prominent and keyboards accentuate the songs. By this point, James Christian (the one constant factor in HoL all these years) has really hit upon a formula that works time and time again. Great melodies, big hooks, huge choruses, heavy rock ‘n’ roll, keyboards in a supporting role and fantastic production values. Not to mention Christian’s voice is just as good as ever as well. The title track starts off the album right, letting you know the Lords are back and ready to rock. Really catchy song with a dash of cynicism thrown in. “One Man Down”, a song with a great catchy chorus, is told from the view of a soldier. “First to Cry” is the first song on the album to sound like it could have come from the ’80s, but I mean that in a good way. “Someday When” is a mid-tempo rocker that follows that same slick ’80s style of “First to Cry” and there are a number of more tracks that seem to shoot for that same sound. “The Next Time I Hold You” is the album’s only ballad and it’s a good one. The album wraps up with the heavy dirty rocker “Blood”. While Big Money doesn’t quite reach the heights of Cartesian Dreams, this is a still very good addition to House of Lords’ already impressive catalog of melodic hard rock. Another prime example that House of Lords is simply one of the best melodic rock bands of all time. Another top album for 2011 and sure to please fans of the band. After picking up Cartesian Dreams and LOVING IT, I decided it was time to own more House of Lords albums. What I would really like to own is the first three albums but those are a bit pricey right now, so I picked up World Upside Down based on my remembrances of “All The Pieces Falling” and “Rock Bottom” (a popular song title for rock bands), both of which I had heard online a few years back. I guess what I own is the U.S. version because the album was originally released in 2006 on Frontiers Records. Tracklisting is identical. 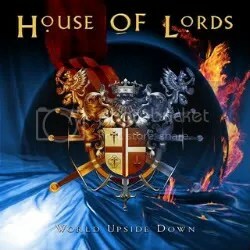 This is a really good album full of everything that makes House of Lords such a great band: amazing vocals, great guitars and keyboards, giant hooks and huge choruses but as a point of comparison, it doesn’t come close to matching the glory of Cartesian Dreams. As good as the album is, I can’t help but wonder how much better the album may have been if the group’s founder Gregg Giuffria contributed more than “keyboard productions”, whatever that is. I guess he gave tips and pointers to Jeff Kent. There are a few songs that totally fall flat with me. “Field of Shattered Dreams” is just another song in a long line of songs dedicated to our military and the war on terror in the Middle East. It’s a nice gesture, but at this point, these types of song seem so cliche and generic. Then there’s “My Generation”. No it’s not a Who cover but an ode to those that grew up listening to Hendrix and the like. It’s pretty weird to hear a melodic band like House of Lords name check Jimi and talk about such an era. They don’t even try to mix it up by sounding heavier. I thought the lyrics were pretty arrogant and silly too: “my generation/will take your breath away/let the music play/my generation/will always lead the way/just like yesterday”. Okay, so what do I like? Well, “These Are The Times” is a great opener (“Mask of Eternity” is an instrumental) and is classic House of Lords. “I’m Free” is a great rocker. “All The Pieces Falling” is one of the band’s best ballads, I think. While “Rock Bottom” is easily one of their heaviest and meanest sounding songs that finds the band encroaching on heavy metal. The band also delivers another stellar ballad with “Your Eyes”. So there’s a few filler moments on World Upside Down, but overall, the album gets a thumbs up from me. This is the first House of Lords album I’ve ever owned, but I’ve been familiar with their songs and most of their albums for a number of years. Just never got around to buying one for some reason. I know the band’s music well enough to say that despite their membership changes over time (the band’s founder Gregg Giuffria hasn’t been involved with in the group for years), they’ve pretty much always put out quality1980s melodic hard rock anthems with little regard for trying to sound “modern” (okay, so I’ve heard that 2004’s The Power And The Myth is a bit of a departure). Cartesian Dreams is no different. Had I listened to it in 2009, this would have made my Top Ten list, which is pretty funny because I almost didn’t buy this album. I considered it and had it on my wishlist for a while, but after checking up on some samples, I decided against it. Recent “best of ’09” reviews convinced me to seek out more samples from this album and I must’ve been in a foul mood the first time I previewed the songs because I loved what I heard! One quick visit to a online music shop and here the album sits with me! James Christian’s voice is as strong as ever, the musicianship is top notch and the production is wonderful. This album is filled great hooks, harmonies and huge choruses and I found myself singing along quite quickly and frequently to these songs. 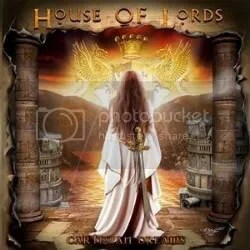 I always get a great positive feeling when listening to House of Lords, there’s just something very bright and uplifting about their music even when singing about love gone wrong or war. 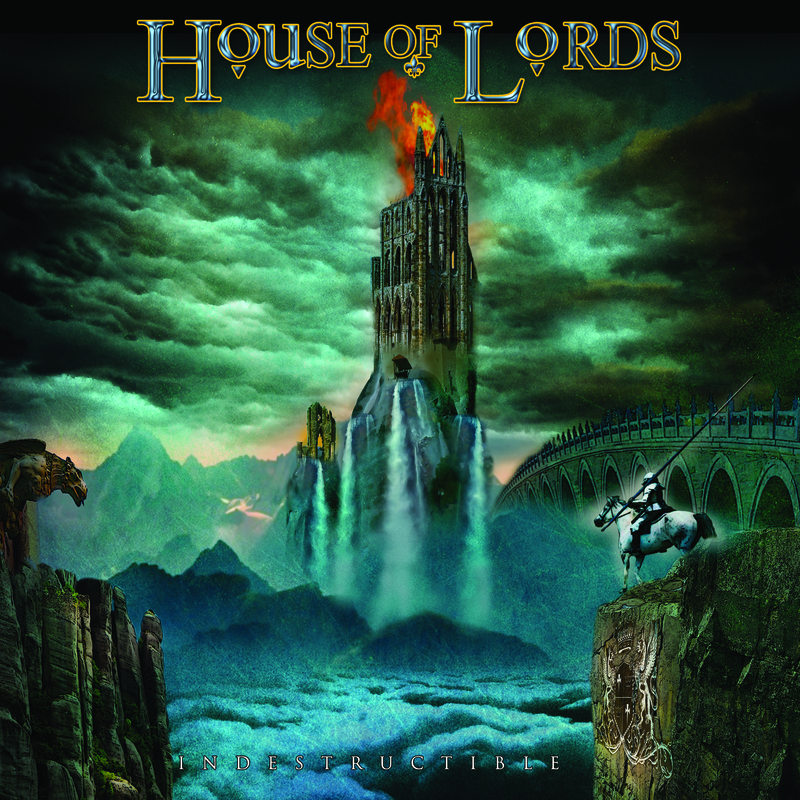 Too often AOR/melodic rock comes off as quite wimpy, but House of Lords has always had a great balance of crunchy, thumping hard rock and slick melodic rock that so many other bands struggle to find. This one should please hard rock and melodic rock fans alike. It certainly pleased me. “The Train”, as I understand it, is an exclusive track for the European pressing. When I ordered this, I didn’t realize I’d be getting the import version, but hey, an extra track works for me!